Wearing a buoyancy aid (sometimes called a personal floatation device) is always recommended when canoeing or kayaking, whatever the environment or weather. As well as helping to keep you afloat in case of submersion, they also provide additional warmth. Please note that lifejackets, which provide buoyancy for the head as well as torso, are not the same thing as buoyancy aids. The Buoyancy Aids listed below are great for touring, kayak fishing and sea kayaking use. Some have a more streamlined design with a few pockets for storage, others have lots of pockets and storage space. They feature multiple adjustable straps and closed cell buoyancy foam to provide a comfortable fit for long periods on the water. 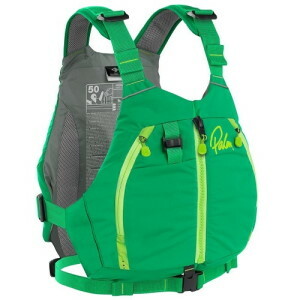 Palm's top-end sea kayaking buoyancy aid, packed with features with a performance fit. 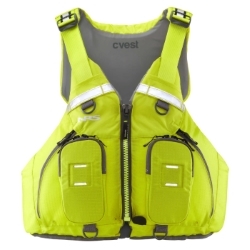 A feature packed PFD with a sleek, lightweight and comfortable design. Great for touring, sea kayaking, kayak fishing, SUPing and more! A buoyancy aid designed for kayak anglers. 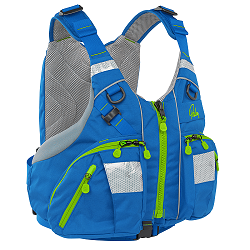 High-back design with multiple adjustment straps for excellent comfort, and plenty of storage pockets for fishing gear! Popular buoyancy aid with high mesh back for minimal interferance with kayak seats. Multiple pockets and gear attachment points. Stay hydrated whilst on the water with the Palm Hydration Bladder. Compatible with the Palm Extrem, Kaikoura, Peyto and Hydro PFDs as well as other brand Buoyancy Aids with a Hydration Bladder pocket.